Pikeville Free Will Baptist Church is a fundamental, Bible-believing church with the assurance that despite the denomination you may be affiliated with and regardless of your creed or the color of your skin, if you know Jesus Christ in pardon and remission of your sins, then you are our brother or sister in Christ and are always welcome in His church here on Chloe Road. Praising the Lord With Gladness! 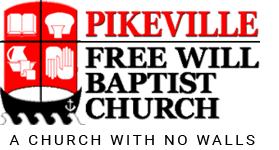 Pikeville Free Will Baptist Church is a friendly Christ-centered fellowship in Pikeville, Kentucky, where men, women, and children gather to worship God and praise His name. We invite you and your family to visit one of our worship services and try our student ministries, Sunday School, and children's church. 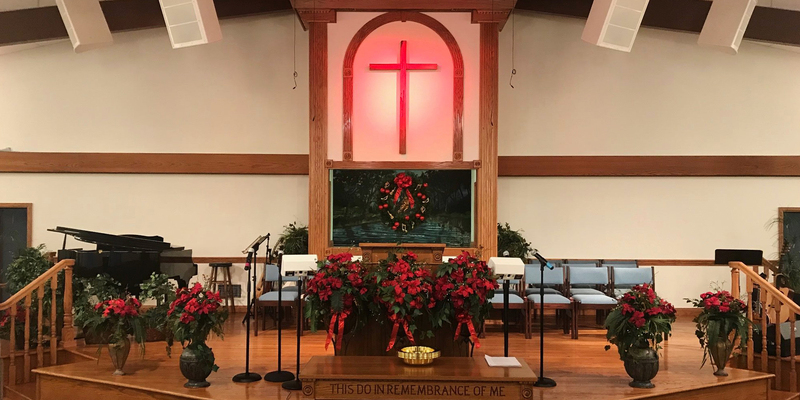 From our founding in 1939 until today, Pikeville Free Will Baptist Church has upheld the fundamental Christian beliefs that the Bible is true and infallible, that Christ is risen and alive, and that God's Grace is sufficient for all of our needs. To God be the glory for all that has been accomplished and all Christ is doing and will do through this church. Visit us at Pikeville Free Will Baptist, a church with no walls. Our church has a long and rich history. 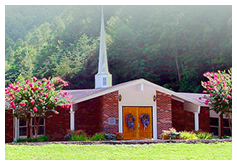 Pikeville Free Will Baptist Church was organized on March 26, 1939, at the home of Brother James Owens by the Reverends A.L. Jackson, Isaac Stratton and Daniel Hughes. Brother Jackson was elected pastor and Brother Gabe Ratliff was elected clerk. The church had 12 members, and these wonderful Christian people had a heart to work for the Lord. The first four services were held at the Pike County home of Brother Owens, and they continued to hold services there until the church on Cline Street was built. The first service was held in the new Cline Street church on July 28, 1940. In 1962, Brother Don Lee was called to pastor our growing fellowship. The church continued to expand until it became evident that we needed a larger building. Brother Perry Taylor and his business partner, Jack Roberts purchased and donated the property to the church. 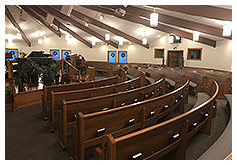 Brother Taylor also made a generous donation to the building fund and with the financial support and manual labor from the members of the church; the new building was dedicated to God in August 1976. During the next few years, the church experienced a period of steady growth in church membership. God sent other ministers to assist Brother Don in ministering to the needs of the growing congregation. Five of those men are now pastoring other churches. In 2001, Brother Jim Patton was elected to serve as the church's first assistant pastor. He became pastor in 2006, and Brother Don was given the permanent title of Pastor Emeritus. In 2009, the sanctuary was completely renovated with nearly every surface refinished. The outside was also upgraded with stone masonry and landscape lighting. We recently built a beautiful outdoor stage and picnic area. Come and worship the King with us. Thank you for your interest. For questions or comments, please use the information below. We look forward to hearing from you.